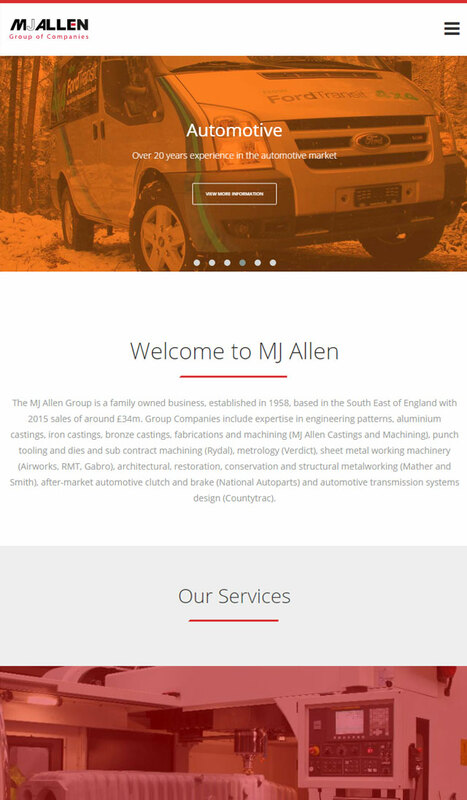 The specialist engineering & metal work group MJ Allen turned to Devise to produce a new web site for the group and it's eleven subsidiaries. The key goal of the project was to organise the vast amount of textual, product and news content into clear online formats for prospective clients and search engine visibility. Grouping the subsidiaries by industry sub-sector and providing a vibrant colour scheme to clearly define each sector has greatly improved the organisation and visibility of key content. Again, built on the Devise C5 content management system, MJ Allen have complete control over their web site allowing regular updates and easy insertion of engaging product galleries and video based content. The search engine ranking of content within the site has greatly improved due to the design, structure and standards based coding of the web site.